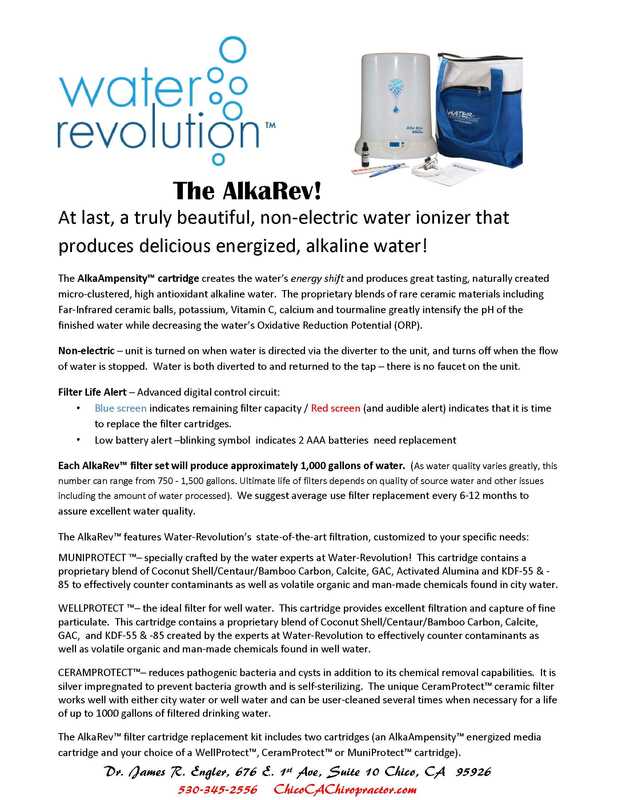 We are pleased to announce that we now have a limited stock the Alka-Rev Alkaline Water Machines for sale at our office. 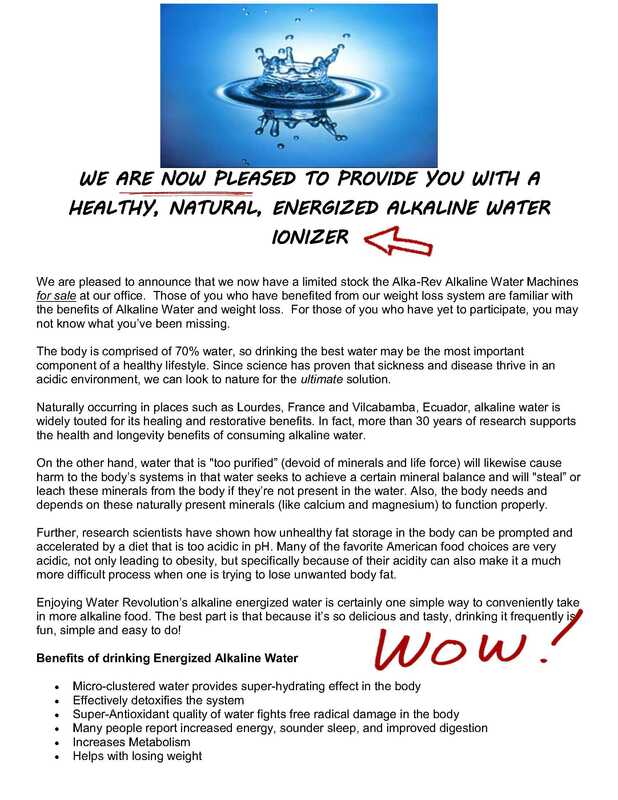 Those of you who have benefited from our weight loss system are familiar with the benefits of Alkaline Water and weight loss. For those of you who have yet to participate, you may not know what you’ve been missing. The body is comprised of 70% water, so drinking the best water may be the most important component of a healthy lifestyle. Since science has proven that sickness and disease thrive in an acidic environment, we can look to nature for the ultimate solution. Naturally occurring in places such as Lourdes, France and Vilcabamba, Ecuador, alkaline water is widely touted for its healing and restorative benefits. In fact, more than 30 years of research supports the health and longevity benefits of consuming alkaline water. On the other hand, water that is "too purified” (devoid of minerals and life force) will likewise cause harm to the body’s systems in that water seeks to achieve a certain mineral balance and will "steal” or leach these minerals from the body if they’re not present in the water. Also, the body needs and depends on these naturally present minerals (like calcium and magnesium) to function properly. Further, research scientists have shown how unhealthy fat storage in the body can be prompted and accelerated by a diet that is too acidic in pH. Many of the favorite American food choices are very acidic, not only leading to obesity, but specifically because of their acidity can also make it a much more difficult process when one is trying to lose unwanted body fat. Enjoying Water Revolution’s alkaline energized water is certainly one simple way to conveniently take in more alkaline food. The best part is that because it’s so delicious and tasty, drinking it frequently is fun, simple and easy to do!